Rent American Whiskey | Corporate Events | Wedding Locations, Event Spaces and Party Venues. 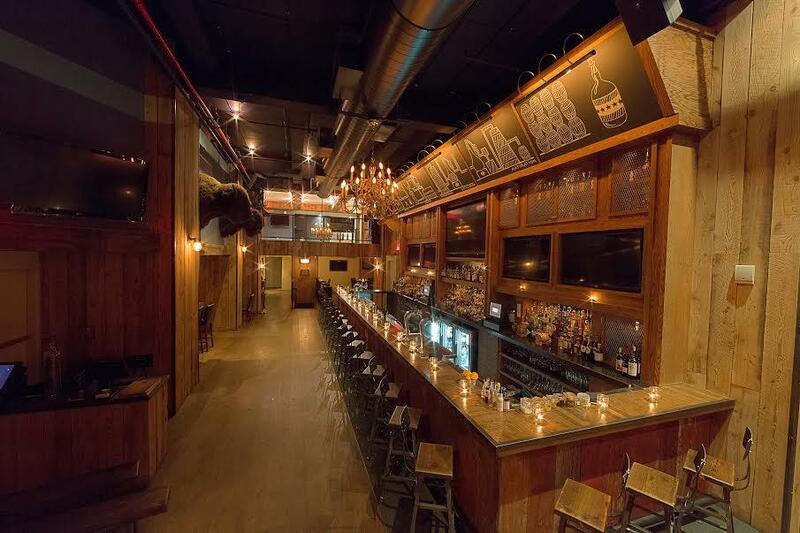 Located one block from Madison Square Garden, American Whiskey in New York City offers hand picked American whiskey selections along with a Southern inspired menu and 37 televisions for watching any sort of sports event. We can accommodate for groups up to 400 people. We welcome the opportunity to host your party or event. We offer accommodations for up to 400 people and are pleased to offer a variety of food and beverage options tailored to your needs.